Allahabad High Court Answer Key 2019: Group 'D' Revised Answer Keys 2019 is available now for Allahabad High Court Group 'D' Revised 2019. The exam was organized by Allahabad High Court on 10 Mar 2019. 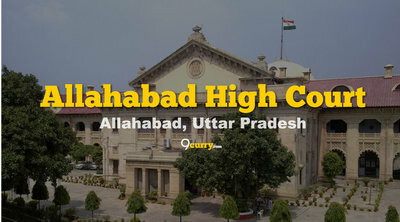 Allahabad High Court Group 'D' Revised Answer Keys 2019: Allahabad High Court has issued the Answer Key on 02 Apr 2019 for Allahabad High Court Group 'D' Revised 2019 which was conducted on 10 Mar 2019. Answer Key can be accessed from the link given below. Allahabad High Court Group D Various Post Final Answer Key 2019: Allahabad High Court has issued the Answer Key on 01 Apr 2019 for Group D Various Post Exam 2019 which was conducted on 10 Mar 2019. Answer Key can be accessed from the link given below. Allahabad High Court Assistant Review Officer Final Answer Key 2019: Allahabad High Court has issued the Answer Key on 26 Mar 2019 for Assistant Review Officer Exam 2019 which was conducted on 24 Feb 2019. Answer Key can be accessed from the link given below. 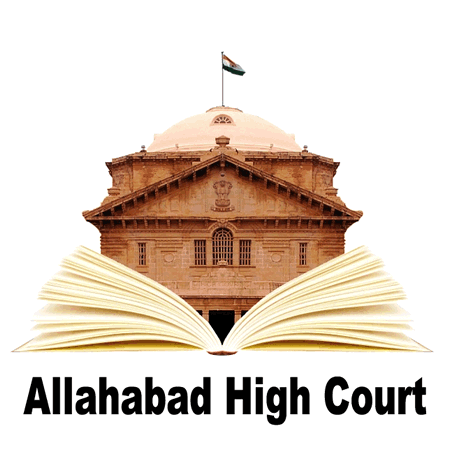 Allahabad High Court APS Final Answer Key 2019: Allahabad High Court has issued the Answer Key on 15 Mar 2019 for the exam. Answer Key can be accessed from the link given below. Allahabad High Court Group D Stage II Answer Key 2019: Allahabad High Court has issued the Answer Key on 13 Mar 2019 for the exam. Answer Key can be accessed from the link given below. Allahabad High Court Group 'D' & C Revised Answer Key 2019: Allahabad High Court has issued the Answer Key on 18 Feb 2019 for Group 'D' & C Revised Exam 2019. Answer Key can be accessed from the link given below. Allahabad High Court U.P. Civil Court Staff Centralized Recruitment Answer Key 2019: Allahabad High Court has issued the Answer Key for Allahabad High Court U.P. Civil Court Staff Centralized Recruitment Exam 2019. Answer Key can be accessed from the link given below. Allahabad High Court Group D, Clerk Civil Court Answer Key 2019: Allahabad High Court has issued the Answer Key on 24 Jan 2019 for Allahabad High Court Group D, Clerk Civil Court Exam 2018. Answer Key can be accessed from the link given below. Allahabad High Court UPHJS Pre Exam Part II Answer Key 2019: Allahabad High Court has issued the Answer Key on 17 Jan 2019 for UPHJS Pre Exam 2019. Answer Key can be accessed from the link given below. Allahabad High Court UPHJS 2018 Suitability Test Answer Key 2019: Allahabad High Court has issued the Answer Key on 09 Jan 2019 for Allahabad High Court UPHJS 2018 Exam which was conducted on 06 Jan 2019. Answer Key can be accessed from the link given below. Allahabad High Court Lift Operator & Mechanic Answer Key 2018: Allahabad High Court has issued the Answer Key on 20 Nov 2018 for Allahabad High Court Lift Operator & Mechanic Exam- 2018. Answer Key can be accessed from the link given below. Allahabad High Court Lift Operator & Mechanic Answer Key 2018: Allahabad High Court has issued the Answer Key on 10 Oct 2018 for the exam. Answer Key can be accessed from the link given below. Allahabad High Court Group D Stage-II Answer Key 2018: Allahabad High Court has issued the Answer Key on 15 Sep 2018 for the exam. Answer Key can be accessed from the link given below. Allahabad High Court HJS Revised Answer Key 2018: Allahabad High Court has issued the Answer Key on 30 Aug 2018 for HJS Examination 2018. Answer Key can be accessed from the link given below. Allahabad High Court Group D Answer Key 2018: Allahabad High Court has issued the Answer Key on 16 Aug 2018 for Group 'D' Cadre posts Examination 2018 which was conducted on 22 Jul 2018. Answer Key can be accessed from the link given below. Allahabad High Court UPHJS Pre Answer Key 2018: Allahabad High Court has issued the Answer Key on 01 Aug 2018 for the exam. Answer Key can be accessed from the link given below. Allahabad High Court AHC Group D Revised Answer Key 2018: Allahabad High Court has issued the Answer Key on 19 Mar 2018 for the exam. Answer Key can be accessed from the link given below. Allahabad High Court Class IV 2017 Revised Answer Key 2018: Allahabad High Court has issued the Answer Key on 16 Mar 2018 for the exam. Answer Key can be accessed from the link given below. Allahabad High Court Lift Operator & Mechanic Answer Key 2018: Allahabad High Court has issued the Answer Key on 07 Feb 2018 for the UPHC Class IV (Lift Operator & Mechanic) Exam 2018. Answer Key can be accessed from the link given below. Allahabad High Court APS Revised Answer Key 2017: Allahabad High Court has issued the Answer Key on 18 Jan 2018 for Additional Private Secretary Recruitment Examination-2017. Answer Key can be accessed from the link given below.